Thank you for your interest in our College Scholarships! At HUECU, we’re committed to helping students reach their financial and academic goals. That’s why we award five (5) $1,000 scholarships to students starting their first year of college. High school seniors who will be enrolled in an undergraduate college degree program during the upcoming academic year should consider applying. Please review the eligibility requirements listed below before starting the application. The deadline to apply for the 2019-20 scholarship was Thursday, February 28, 2019. The application will reopen for the 2020-21 academic year in January 2020. A Review Committee of qualified HUECU member volunteers assembles in-person to determine the recipients for the scholarships. The application period for the 2019 Volunteer Review Committee has passed and will reopen in the Fall for the 2020 scholarships. Identifying information, such as name and address, is redacted from applications during the selection process. Winners will be announced in April. For more information on last year’s winners, please visit our blog. What information is needed for the application? The deadline to apply for the 2019-20 scholarship was Thursday, February 28, 2019. The application will reopen for the 2020-21 academic year in January 2020. To review eligibility and documentation requirements, please see below. Applicant must be a Permanent Resident. Limited to high school seniors who will be enrolled in an undergraduate accredited U.S. college degree program during the following academic year. Applicant or parent/grandparent/legal guardian must be a member in good standing with HUECU. 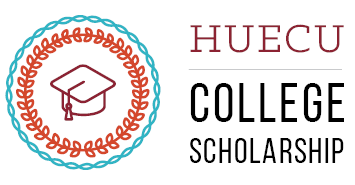 Complete HUECU scholarship application form, which will reopen on this webpage in January 2020. Community service, extracurricular activities, internships, and employment background. College applications, admission status, and decisions. Most recent copy of your academic transcript (Unofficial Transcript is accepted). If you have any questions about the Scholarship Program, please email us at myHUECU@harvard.edu.